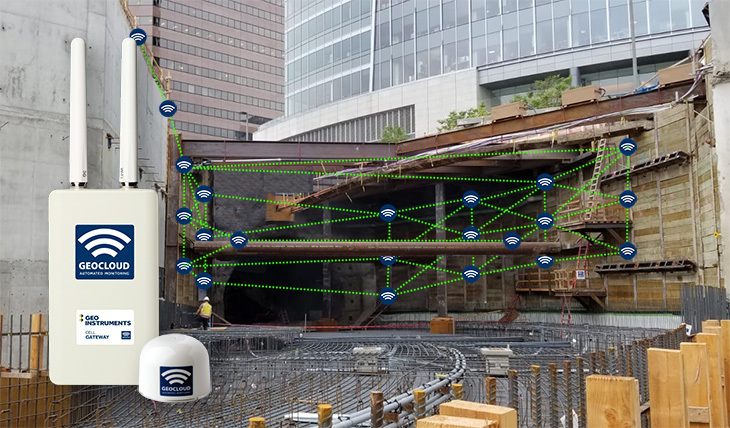 GeoCloud wireless sensors install quickly and automatically form a reliable mesh network. Mesh networks can span long distances. 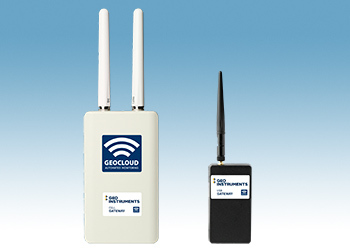 GeoCloud sensors and interfaces provide high precision, low noise measurements, wireless communications, and a 15-year battery life. Powered by Senceive’s FlatMesh technology, GeoCloud sensors feature advanced dynamic routing algorithms, extremely efficient power management, and high quality hardware. 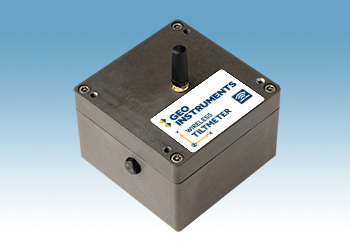 GeoCloud sensors include tiltmeters, mini- tiltmeters, and laser extensometers. GeoCloud interfaces are available for vibrating wire, millivolt, and RTD sensors. Traditional sensors require cables to carry power and measurement signals. Cables are costly to install, vulnerable to damage from construction activities, and subject to noise that degrades the measurement. 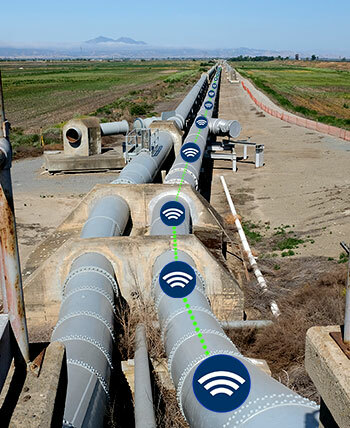 GeoCloud wireless sensors eliminate these issues. 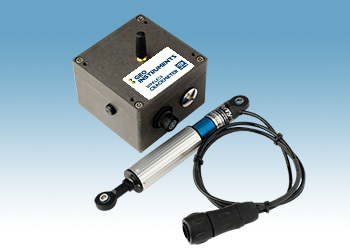 On-board circuits remove noise and digitize measurements. Internal batteries supply power and simplify installation. And the robust flatmesh network ensures reliable transmission of measurements. The FlatMesh network consists of a number of nodes and an internet gateway. Nodes are GeoCloud wireless sensors and interfaces. Nodes obtain measurements, embed them in packets addressed to the gateway, and transmit them to neighboring nodes. The nearest neighbors forward the packets to the gateway or to their own nearest neighbors if the gateway is out of range. Milliseconds later, the packets arrive at the gateway, which forwards them to GeoCloud servers via a cellular connection to the internet. 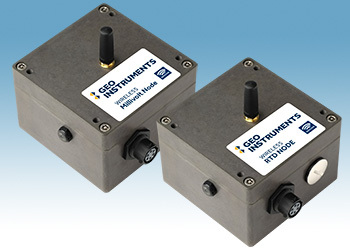 GeoCloud integrates data from a wide range of sensors, including AMTS, vibration monitors, and any sensors that can be connected to data loggers. GeoCloud operates 24 hours a day, processing measurements, checking for alarms, and generating graphs, reports, and alerts. Users can access the GeoCloud using browsers on their PCs, tablets, and smartphones. Precise: On-board circuits provide low noise, high precision, digitized measurements. Robust: GeoCloud nodes are rated IP68 at 1m for 24 hours and operate at temperatures from -40°C to +85°C. Battery life for most nodes is 12 to 15 years with data transmissions every 20 seconds. Reliable: The mesh network shortens the range needed for transmissions, with each node transmitting to its nearest neighbor. If the nearest neighbor fails, the next nearest neighbor forwards the data. Extendable: The network can be extended over longer distances and wider areas simply by adding more nodes. No reprogramming of the network topology is needed. Quick and Convenient: GeoCloud sensors eliminate issues related to power, communication, and cables. A wide range of mounting brackets is available for quick and convenient installation anywhere.